Back cover blurb: Mary has been nursing a secret. Forty years ago, she made a choice that would change her world for ever, and alter the path of someone she holds dear. Beth is searching for answers. She has never known the truth about her parentage, but finding out could be the lifeline her sick child so desperately needs. When Beth finds a faded newspaper cutting amongst her mother's things, she realises the key to her son's future lies in her own past. She must go back to where it all began to unlock...The Secret. The Secret is a wonderfully engaging novel with some beautifully flawed characters and a heartwarming story to be told. In the present day, Beth is desperately searching for answers after the death of her Mother Mary. She never knew her Father, and up until now had been content with that. She isn't one to dwell on the past. However, since her Mother's death discovering her Father's identity could prove to be crucial in helping her little boy, Jake's fight for survival as he awaits a kidney transplant. Neither Beth or her husband Michael are a match, so they need to find a living relative who is, and quickly. Beth gets a little more than she bargained for when she discovers a hidden historical newspaper cutting and letter amongst her Mother's things. Determined to discover the truth of her parentage once and for all, Beth digs deeper into the past, and in doing so unlocks a world she never even knew existed. Travelling back in time to the 1970s we begin to learn exactly the chain of events that led to Beth's parentage and subsequent upbringing and meet a whole host of wonderful characters, some of whom we recognise in Beth's present day narrative. I don't want to give too much away, but The Secret is a novel that will keep on surprising you until its conclusion, and even then you may be left wondering what the future holds, as you won't want to let its characters out of your life. 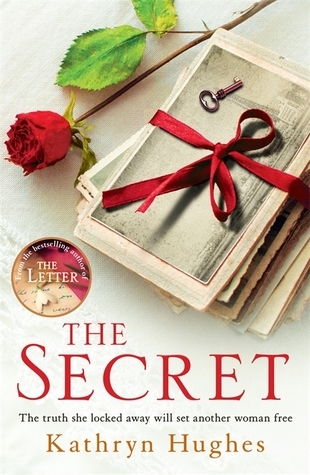 The Secret is available now via Amazon online and all good bookshops.